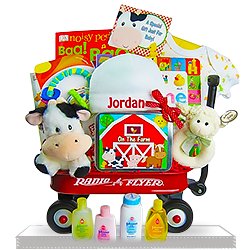 A Radio Flyer wagon is always a hit and we've started off this farm-themed gift basket with that old, trusted staple of childhood. 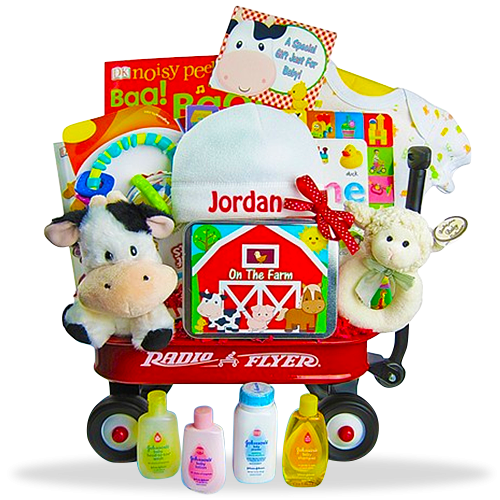 Starting off this cute basket is a farm-themed tin that holds Baby lotion, shampoo, Desitin, and bath wash. That's a pretty handy set up at bathtime! 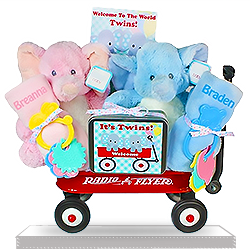 Two plush farm animals--a lamb that's a rattle and a cow. 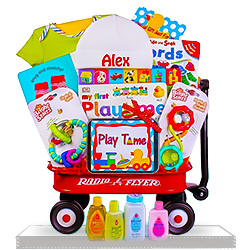 Also included are items that will help your little one learn: a Noisy Peek-a-Boo Sound Board Book, along with one on Playtime Fun and Colors & Shapes. 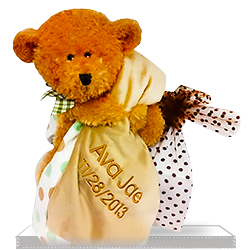 A cotton bodysuit and teething ring round out the bounty--along with a knit had that can be personalized up to 12 letters! Good service and quick delivery. Order process very efficient as well. Very happy with my purchase. Thank you and I will use your company again. Our co-worker and her husband were thrilled with it. I return here very soon.. 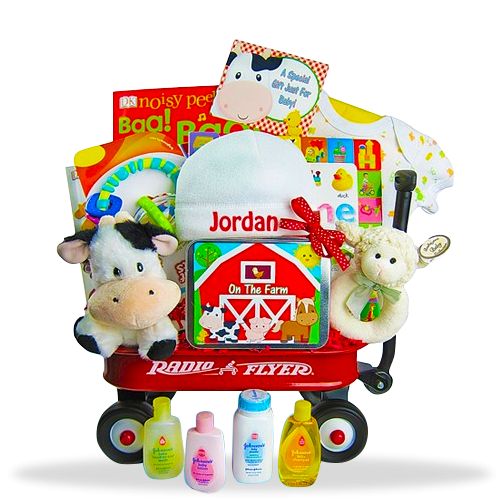 I was thoroughly exited by the huge variety of gifts inside this wagon when it arrived and I opened the package! We spent about an hour scrutinizing all these items. Thank you for this plenty of baby’s happiness! 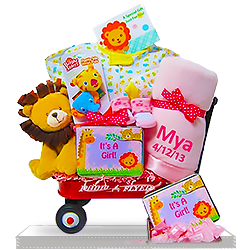 These gift baskets for baby girls are amazing!! 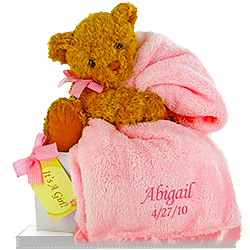 Two years ago I received one of these from my old friend and I was amazed by the quality of the items it contained. Some of them are still in perfect condition! 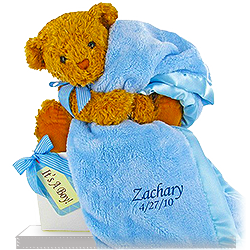 Last month I ordered the same one for my brother and sister-in-law and they were so happy! Now I’m ordering the third same gift for my colleague and I’m sure that she will appreciate it too.